A year ago, I spoke at my dad’s celebration of life. It was one of the most difficult and easiest things I’ve done. Difficult, because I had to choose what to say. Easy, because I had a lot of options to choose from. Difficult, because I didn’t know if I could emotionally get through it. Easy, because I knew Dad would want me to speak. I realized I was wrong about the first thought. Yes, I’d only get one chance to speak about my dad’s life here on earth, but I get to speak about my heavenly Dad’s life every single day. And what I needed to say that day had to do with both. I had to honor both. I didn’t need to make it more spiritual or create a sermon. It needed to be authentic with doses of hope and laughter. I realized the words I’d say were way less important than the reasons I said them. I couldn’t say them in my own wisdom or strength. My dad had given me all the wisdom and strength he could while he was living. I still carry it with me. And God continues to give me the wisdom and strength I need for every day and every situation. On that day, I stood at the intersection where all that wisdom and strength collided. What I said wasn’t perfect. Others could have done a better job. But that’s okay with me. I celebrated dad’s life with the people who loved him the most. And as I looked at some of the faces in the church that day, I saw God’s love for me in the faces of people who love me. And I felt comfortably weak, because He is strong. God can use anyone at anytime. We dismiss ourselves, but He doesn’t. Solomon dismissed himself…at least, in some areas. But those areas became the basis of what He trusted God to provide. Instead of using his lack as an excuse, he used it as a springboard of trusting faith. We often want to hide our weaknesses. They make us feel vulnerable and unworthy. We want to dismiss them, but when we do, we dismiss ourselves. God wants to use what we think dismisses us, because He knows our willingness to admit them and trust Him puts us in the exact position to rely on Him to use us well, weaknesses and all! We can stand firm without being a smart aleck. We don’t have to taunt people. We can simply state truth. We can be bold yet respectful. The two aren’t mutually exclusive. David didn’t confront Goliath in his own wisdom, courage, and strength. He didn’t “get in his face.” He stood firmly on God’s direction and truth, then continued to follow Him. Perhaps we think boldness means strength and courage, and it does, but not always the way we apply it. Strength and courage on our own won’t get us anywhere, or at least, it won’t get us anywhere worthy of staying, anywhere longstanding. The best strength and courage comes through humility. When we are bold with our humility, we are as bold standing up as stepping back, as bold in our discerned silence as in our declarations and confrontations. Speak (and be silent) wisely. How do you respond when you fail? I feel paralyzed. I don’t know how to move forward. I struggle to learn lessons to apply to the future. I don’t consider anything a failure. 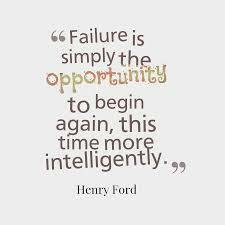 The way we each define failure differs, but let’s agree that it’s an unsuccessful attempt at something. You have failed at something in your lifetime. We all have. However, that doesn’t mean we’re failures. God created you, and He makes no mistakes. He knew how you would succeed and fail before you did. In fact, He likely doesn’t see success and failure with the same perspective as you do. He sees the big picture of your life and how the details fit together. He wants you to grow throughout life, and the learning process includes failures and the lessons we learn from them. How you respond to failure impacts your life as well as those who look to you for leadership and example. Failing is unavoidable, but you can choice in what direction to fall. You can fall backward, sitting in the messy mud puddle until you are miserable, or you can fall forward, perhaps stubbing a toe or scraping a knee but ready for the next steps of your journey. Deal with disappointment. Failing forward doesn’t mean you ignore the frustration and pain. In order to move forward, you must learn from past experiences. Otherwise, you’ll repeat the same errors. Evaluate the factors contributing to failure, but only look back long enough to gather strength to move forward. Prepare to plan. Apply what you learn. You don’t need to have everything in life alphabetized and color-coded, but a failure to prepare usually prepares you for failure. Look to the horizon and anticipate growth, but be intentional in the steps you’re taking toward your goals. Celebrate. Broaden your focus beyond your failures. You will find whatever you look for most consistently. Pay attention to the progress you’re making. Celebrate when you’ve met a goal, fostered a relationship, or maneuvered through a difficult conflict. Your celebration doesn’t need to be over-the-top. Treat yourself to a favorite coffee drink, long walk, or soothing bubble bath. Find contentment. God wants to be the center of our lives. Life on earth isn’t going to be perfect or easy. He knows it, but it seems to be a realization that takes more time for us to accept. When our gaze is intently on God, we can find contentment even in the chaos. We can find peace among the mayhem. Focus on God. He will give you what you need even when you’re not sure what it is.